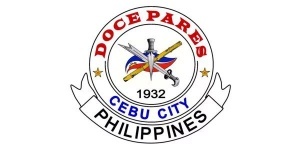 “Doce Pares” is an Eskrima/Arnis Martial Arts Club that was founded in Cebu City in January 12, 1932. Originally it was a breakaway group of students and instructors from the ‘Labangon Fencing Club’ of the 1920’s which was influenced heavily by the Saavedra and Cañete families. The original instructors of the Doce Pares taught their own particular family, island or region styles of Eskrima. Lorenzo Saavedra, who was recognized as the foremost eskrimador in Cebu City founded Doce Pares along with his nephews Teodoro and Federico Saavedra, and Eulogio and Filemon Cañete. Eulogio Cañete, Filemon’s older brother, was elected first president of Doce Pares and remained in that position until his death in 1988. A younger Cañete brother, Ciriaco “Cacoy” Cañete, concentrated on boxing but later became an eskrimador while also training in Judo and other arts which he incorporated into his system, one component of which is called “Eskrido”. Teodoro ‘Doring’ Saavedra rose to prominence as the best fighter in the Doce Pares society. Saavedra, an active guerrilla fighter, was captured and killed by the occupying Japanese forces in World War II. Venancio Bacon was also among the first members in the club, but after a short time he left due to disagreements over the effectiveness of the Doce Pares system and founded Balintawak Eskrima. Doce Pares is a form of Arnis, Kali and Eskrima, or a Filipino martial art that focuses primarily on stick fighting, knife fighting and hand-to-hand combat but also covers grappling and other weapons as well. In reality, the stick is merely considered an extension of the hand, and is meant to represent almost any weapon, from sticks to swords to knives to anything else you can place in your hand and use as a weapon in the modern context. Doce Pares was brought to prominence in the international scene during the 60’s, 70’s, 80’s and 90’s by the Cañete family, especially Ciriaco ‘Cacoy’ Cañete. Following the death of Ciriaco Canete in February 2016 there are only two surviving Doce Pares Supreme Grandmasters, Dionisio Canete and Danny Guba. Doce Pares means “twelve pairs” in Spanish, the name was meant to honor the twelve people who originally planned to form the organization. All the above subjects are incorporated under the comprehensive 5-year training curriculum of the Doce Pares “Multi-Style” system.